Looking for a Leicester Plumber Today? Goodman Plumbing is a family owned and operated local business. We’re in your neighborhood, and we have the expertise and ingenuity to solve your plumbing problems. Having an experienced plumber is necessary when it comes to guaranteeing quality results, and with Goodman Plumbing you can rest easy knowing that you have hired a ‘good man for the job’. We listen to your concerns and will schedule an appointment that is convenient for you. We treat you like we would want to be treated ourselves. No pressure, no upselling, just honest work. Whether building from scratch or remodeling an old plumbing system, we strive to achieve maximum customer satisfaction through an educational, professional, and non-intimidating approach to solving all your plumbing issues. When you are looking for a Leicester plumber, call us today to experience the Goodman Plumbing difference! We aim to be one of the best plumbers Leicester NC has to offer, and we specialize in all kinds of waterheaters: Standard waterheaters, tankless water heaters, heat pump water heaters, solar water heaters, you name it! Right now we are offering a $100 SAVINGS off any new Leicester water heater installation! Just mention our LEICESTER HOT WATER HEATER SPECIAL and you've got a deal! Whatever your Leicester water heater repair needs are, we've got you covered there too. Give us a call today! We install, repair, and maintain Leicester Water Purifiers, Softeners, Iron Filters, pH Neutralizers, Sediment Filters, Chemical Filters, UV Purifiers, Reverse Osmosis, and Chemical Water Treatment systems—everything you need for pure water! 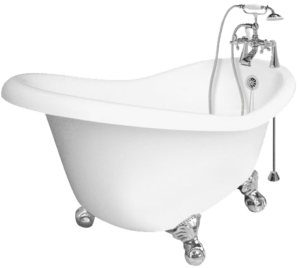 We install and repair Leicester Plumbing Fixtures of all kinds: toilets, showers, bathtubs, bidets, sinks, faucets, lavatories, drinking fountains, urinals, inst-hots, recirc pumps… everything but the kitchen sink! We have great ideas for your Leicester bath, Leicester kitchen, Leicester outdoor kitchen or Leicester backyard fireplace. We are your Leicester water efficient plumbing specialist! Call us for all your Leicester Water Saving Plumbing needs! We keep our Leicester plumbing customers satisfied by consistently delivering quality plumbing products and service, on-time and on-budget for all of our Sacramento area customers. Need a reliable Leicester plumber? We will take care of all your plumbing repairs, leaking pipes, faucet repairs, toilet repairs and replacements, plumbing installation and plumbing fixtures. The goal at Goodman Plumbing is to be the best plumber Leicester has. We want to be known for our customer service and top quality workmanship. Of all the Leicester plumbers you could call, we stand out above the rest with quality, service, and integrity. Need a plumber 28748 zip code? Call us! 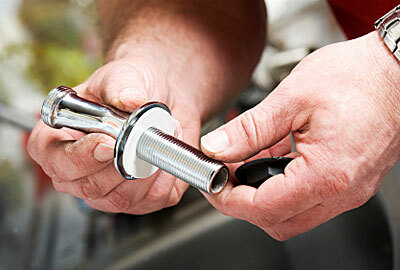 Repairing your Leicester plumbing system can be a complex job that requires expertise and training. If your home needs Leicester plumbing repair services, call us today. At Goodman Plumbing, our staff is trained and experienced to deal with any plumbing repair whether it is a water heater repair or kitchen remodel, and everything in between. Now that you know you need a comfy toilet, why not call us?